SACRAMENTO, CA – April 10, 2018 – Archival Gallery is exhibiting works by Mel Ramos and Gary Dinnen. Exhibition runs May 4 – 31. Join us for a Second Saturday reception on May 12 at 6PM featuring complimentary refreshments and an opportunity to meet the artists. 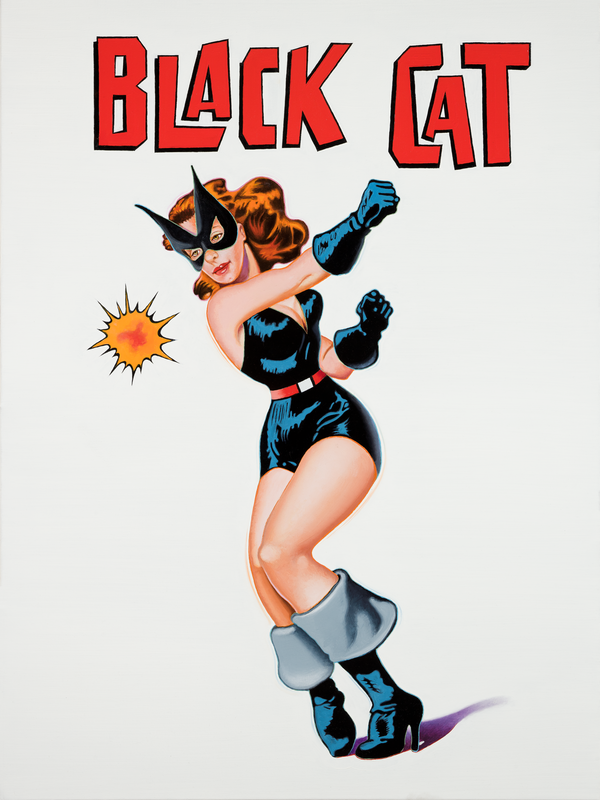 Mel Ramos presents new sketches and recent prints of male and female super-heroes. 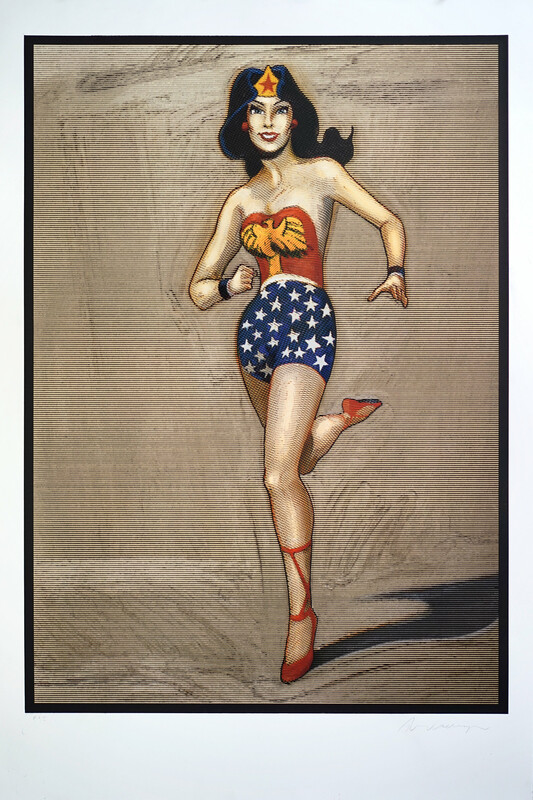 Selected works include Wonder Woman and Black Cat. Ramos is known for his juxtaposition of the female figure and brand logos, incorporating both realist and abstract art. Commemorative hardcover books will also be available. Gary Dinnen presents new raku designs of his popular canine and feline friends. 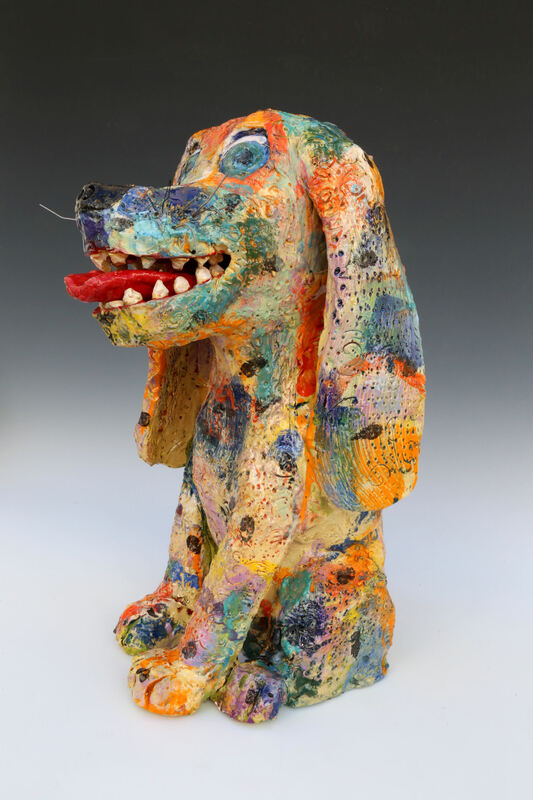 Known for his playful and expressive ceramics, Dinnen’s work is distinguished by vibrant color and comedic quality.